Not a hiker? How about enjoying some scenic wonders from the green instead? With breathtaking views of Southern Utah’s famous red rock formations including the majestic peaks of Zion National Park on the horizon, Coral Canyon is a golfer’s dream and an oasis in the desert. 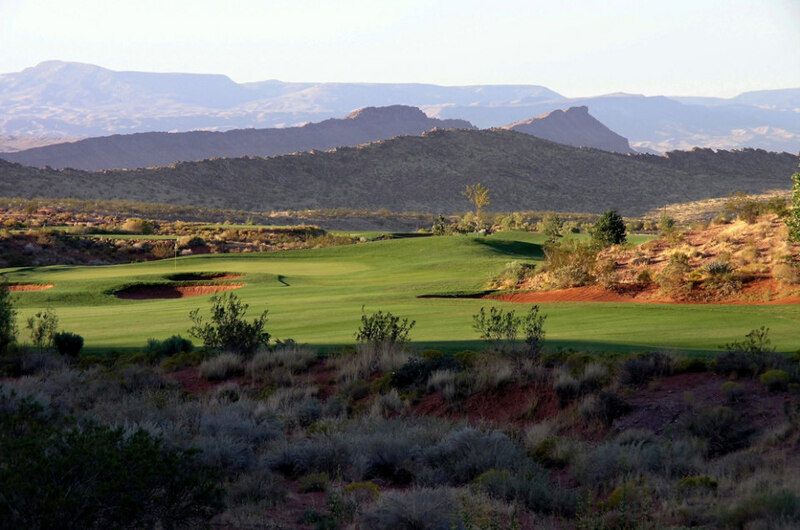 The most common refrain from golfers playing Coral Canyon is “this is a fun golf course!” Golf, fun? Hmmm, now there’s an idea. If we haven’t painted an adequate picture for you yet, believe us when we say, this is an incredible layout. Suitable for golfers of all abilities, Coral Canyon is a 7,029-yard, par-72 layout with a seriously epic backdrop. 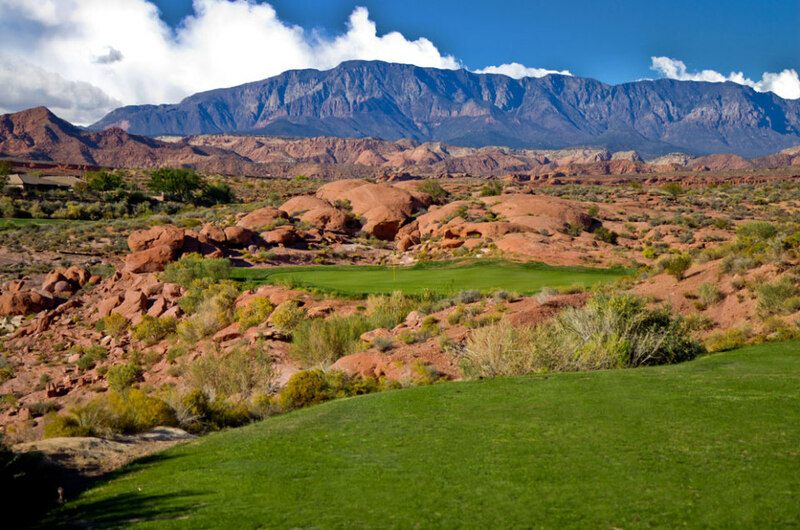 Located in what many call “Color Country” near St. George, Utah’s golfing capitol, Coral Canyon offers a beautiful challenge and is a “must-play” in this epic golf destination. Designed by renowned golf course architect Keith Foster, Coral Canyon is a public course that provides the rare opportunity of enjoying a private club feel. Enjoy a luxurious tee time at the gateway of the world’s most incredible wonders. It’s the best way to see nature – without so much as getting your shoes dirty. You Can Golf Year-Round – Mild Southern Utah temperatures makes outdoor recreation a breeze any time of the year. You may even want to plan a visit in the summer and in the winter to compare the landscapes because it will feel like two completely different trips. Challenging But Accessible – 80 acres of turf, 55 sand bunkers, two lakes, and a labyrinth of dry washes offer players a thought-provoking mix of hole designs that are challenging without being frustrating. 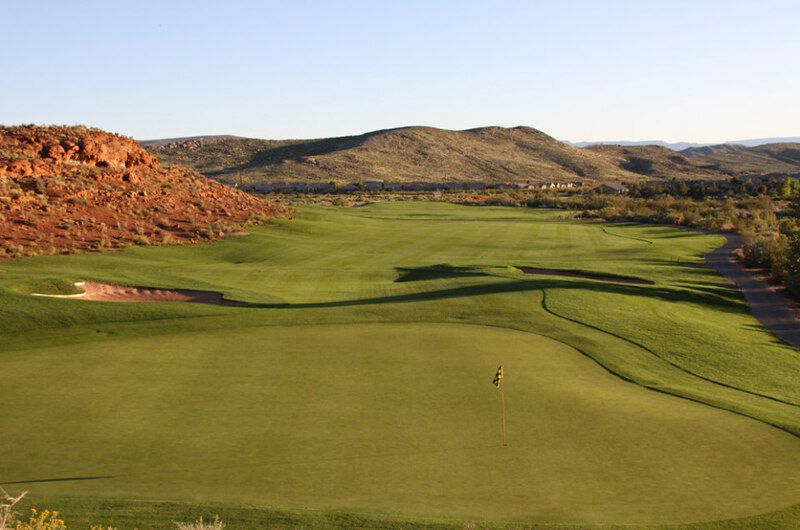 It’s Part of the Red Rock Golf Trail – St. George is a golfer’s paradise. With 11 golf courses in a 40-mile radius, you could spend every morning and every night on a new fairway. And with their handy online trip-planner, you can combine the green fees with your hotel rate to design a custom vacation package just for you. Just remember to focus on the ball, not the backdrop. Trust us; it will be your biggest challenge.